The 2016 IFBB Mr. Olympia contest has more hype surrounding it this year than the biggest contest in bodybuilding normally has. The reason for all the excitement centers around the return of Kevin Levrone to the Mr. Olympia stage. One of the best and most popular pro bodybuilders from the 1990’s, Levrone is returning to the stage after a 13 year layoff from the sport and at the tender age of 52 years old. His comeback has the whole bodybuilding world excited at the possibility of Levrone pulling off a Hollywood “Rocky” style victory that would eclipse any climax to ever take place on a Mr. Olympia stage. Although most “comebacks” in the Bodybuilding world are disappointing and often times embarrassing, the return of Kevin Levrone to the Mr. Olympia promises to be a legitimate sensation. Levrone has incredible genetics and his response to the Bodybuilding lifestyle is dramatic and immediate. Also, Kevin loves the spotlight and he will be enjoying every minute of his return to the big stage. His confidence and pride will not allow him to show up looking anything less than his best so it’s doubtful that he will disappoint when it’s time to show what he has. The return of Kevin Levrone to the Olympia is perfect timing because the Biggest Bodybuilding contest of the year will again be missing Kai Greene for the second year in a row. Phil Heath’s number one rival (Kai was second to Phil for three years), Kai has decided to sit out the Mr. Olympia competition again. The big losers in Kai’s decision are ultimately the fans. Bodybuilding’s greatest rivalry has been cut short and the fans are being denied the chance to see Phil and Kai posedown against each other. This is a similar scenario to the Sergio Oliva – Arnold Schwarzenegger rivalry that took place in the early ’70’s. Just like those epic showdowns of the two bodybuilding legends, Kai feels like he will never get a fair placing against Phil at the Mr. Olympia just as Sergio felt that Arnold was being treated with favoritism by the judges and he also would never get a fair chance of winning. Sergio eventually refused to compete in the Mr. Olympia again in 1972 after losing to Arnold twice. Kai’s decision to not compete in the Mr. Olympia contest again explains why he decided to only compete this year in the Arnold Classic competitions (in Columbus, Australia and Brazil). Kai dominated the Arnold Classic contest on three continents in 2016, winning all three events. He obviously felt comfortable competing in the Arnold Classic, feeling that he would be treated fairly by the judging panel. 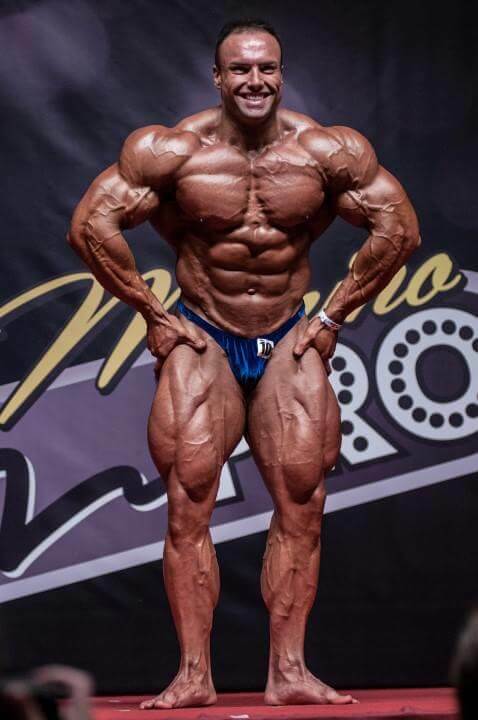 Another top contender who will probably be missing from the 2016 Mr. Olympia line-up is Dennis Wolf. Wolf has been one of three or four competitors who has had the potential of challenging Phil Heath for the title over the last few years. Unfortunately, Dennis had major back surgery this year and it’s not likely that he will be able to regain his normal top condition in time for the 2016 Mr. Olympia. The following is the 2016 Mr. Olympia Predictions for the Top 15 (from bottom to top) for this year’s Mr. Olympia contest, to be held in Las Vegas, Nevada from September 15-18th, 2016. 15th Place – Akim Williams (picture above) – Akim is coming off his first professional win at the Wings of Strength Tampa Pro Show in August. One of the biggest and thickest pro bodybuilders competing today, Akim has struggled to show the lean conditioning and separation necessary to win. At the Tampa Pro, Akim was in his best condition to date, showing very hard development in his massive legs and a tighter look all around. He will be competing in his first Olympia so he will be one of the underdogs trying to gain the judges attention but if he can repeat his stellar conditioning from the Tampa Pro Show, he should make the top 15 at the 2016 Mr. Olympia. 14th Place – Steve Kuclo (picture above) – Steve has all the tools necessary to be a top contender at the Mr. Olympia. He is tall with a great structure, excellent muscle mass and good shape. He did not place in the top 15 at the Mr. Olympia last year, a surprising drop for Steve because he has consistently done well in his pro career. This year, Steve made the top five in the highly competitive New York Pro and he won first place at the California Pro after a very tough battle with the promising new pro Nathan DeAsha. If Steve can bring in the same conditioning he did at the California Pro, he should be able to work his way into the top 15 again in this very tough Olympia line-up. 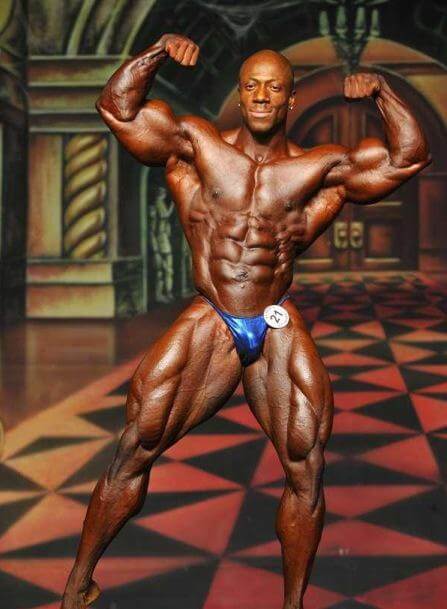 13th Place – Nathan DeAsha (picture above) – Nathan is one of the most exciting new pros on the IFBB scene. He won the British Championships and has made an impact on the professional level right off the bat. Nathan placed high at the New York Pro and many people in the audience would have had him in the top three at that event. Soon after the New York Pro, he took a very close second place to Steve Kuclo at the California Pro. The showdown between Kuclo and Nathan went down to the wire with a special posedown between the two of them to decide the winner. Nathan took a close second place at that contest but redeemed himself when he won the Toronto Pro. Nathan has very good shape and full muscle bellies, reminiscent of Kevin Levrone, and he should make a big impact at his very first Mr. Olympia contest providing that he comes into the show in top shape. 12th Place – Josh Lenartowicz (picture above) – Another young rising star in the Pro Ranks is Josh Lenartowicz from Australia. Josh was the winner at both the San Marino Pro and the Ferrigno Legacy last year. He continued that strong momentum at the 2016 Arnold Classic in Columbus, Ohio in March, taking third place behind Kai Greene and Cedric McMillian and beating top names Justin Compton, Branch Warren and Juan Morel. At that show, Josh was big with outstanding conditioning. After placing fourth at the Arnold Australia two weeks later, Josh went into off-season mode to prepare exclusively for the Olympia. If Josh can repeat his top shape from the Arnold Classic, he could easily break into the very competitive top ten at the 2016 Olympia. 11th Place – Victor Martinez (picture above) – One of the happier story lines from the 2016 IFBB Pro Season is the successful comeback of Victor Martinez. One of the nicest guys in the sport, Victor has been the unfortunate victim of bad luck over the last ten years. Now in his early 40’s, many experts have felt that the best days for the 43 year old Victor Martinez are in the past. This year, Victor displayed a physique that was dramatically improved in both size and conditioning. He took a strong third place in a tough New York Pro line-up and then won the Baltimore Pro in fantastic shape. Whatever Victor is doing different is clearly working and he has a good chance of making the top at the Mr. Olympia this year. 10th Place – Roelly Winklaar (picture above) – Roelly, along with Big Ramy, is truly unique in the world of Bodybuilding. Blessed with full muscle bellies, Roelly has entered super-sized mode over the last few years. His arms and legs are so big and blown up, you need to see it to believe it. The key for Roelly is to nail his conditioning to really enhance that incredible size and volume of his muscle bellies. When Roelly isn’t in optimum condition, his placing drops dramatically. However, if Roelly can compete in the same condition as when he won the Body Power Pro contest this year or when he took second place to Dexter Jackson at the New York Pro, he will easily make the top ten. He can place much higher but it all depends on his conditioning and retaining his size as he diets down. 9th Place – William Bonec (picture above) – Bonec is another underrated bodybuilder who can really do some damage this year. Bonec was in 8th place last year so he has proven the ability to place high in the Olympia. William is working with Flex Lewis’s coach Neil Hill this year and Neil has promised to bring Bonec into the Olympia in peak condition. With his thickness and great shape, a dialed in William Bonec will be dangerous at the Olympia. 8th Place – Justin Compton (picture above) – Justin is hitting his stride right before the Mr. Olympia this year. He got off to a slow start by missing his peak at the Arnold Classic in Ohio in March, placing a disappointing fourth after some industry experts predicted he would be challenging Kai Greene for the title. After that show, Justin decided to do his own prep instead of relying on a contest prep coach. At the Arnold Classic Australia only two weeks later, Justin looked much better and moved up to the third place position. A few months later, Justin won his first pro show at the Golden State Pro followed by a second win at the Arnold Classic Asia. In those contest wins, Compton looked his best ever. His waist was significantly smaller and his incredible muscle mass and size was extremely impressive. Winning these two shows back to back has to inspire confidence in Compton, a serious but quiet competitor who works very hard. Compton sat out the Olympia last year to focus all his energies on the 2016 Arnold Classic so taking only fourth place at the Arnold after a full year of preparation must have been terribly disappointing. He didn’t give up and was finally able to hit his peak and qualify for the Olympia later in the year. He is peaking right at the crucial time of the year and may surprise some of the bigger names at the Mr. Olympia. 7th Place – Mamdouh Elssbiay (“Big Ramy”) (picture above) – Mamdouh Elssbiay (“Big Ramy”) will be entering his fourth Mr. Olympia this year. He placed a disappointing 8th place in 2013, followed by 7th place in 2014 but he moved up to the top 5 last year in 2015. No one has the extreme amount of muscle mass and size that Big Ramy possesses. His thighs are bigger than any other bodybuilder in the world and his tremendous mass makes him the biggest bodybuilder competing in the Olympia this year. The question concerning Big Ramy is always his ability to attain the lean separation and definition needed to highlight all that size. This could be the year Big Ramy reaches his as yet unrealized potential. He has been working with top contest prep coach Chris Aceto for the greater part of this year. Chris has been in the bodybuilding industry for decades and he is a true expert at guiding his clients to their absolute peak condition. He understands that Big Ramy needs to come in shredded in order capitalize on his huge muscle mass. If Chris can find the right formula for Ramy, he potentially could be challenging Phil and Dexter for the top spot at the Mr. Olympia. 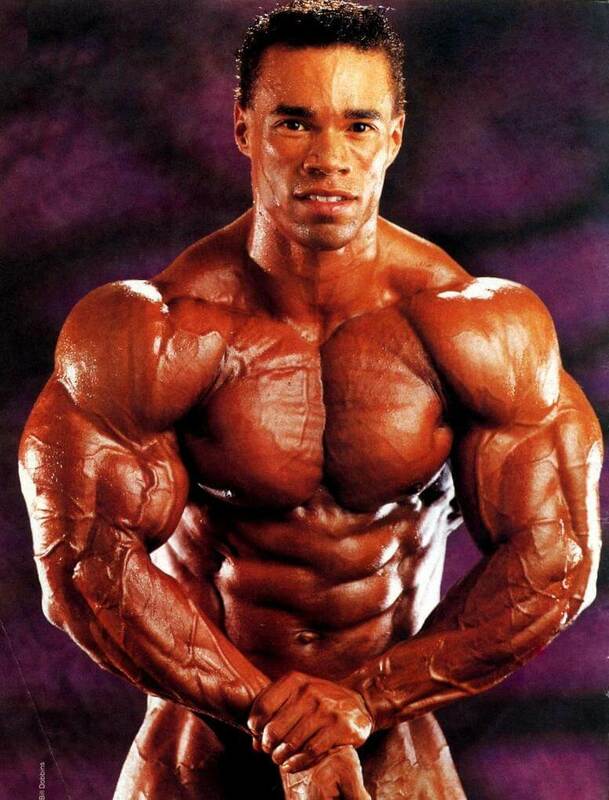 6th Place – Kevin Levrone (picture above) – This is the most controversial prediction for the 2016 Mr. Olympia. Kevin Levrone is the sentimental favorite to do well in the contest. At 52 years old, to come back to the biggest contest in the world and challenge the best pro bodybuilders on the planet, most of whom are at least 20 years younger than him, is courageous to say the least. If he can pull it off and step up onstage with the same physique that made him a legend, it will be one of the biggest events in the history of the sport. Kevin said his motivation for coming back and competing the Mr. Olympia again was to show the fans what a 1990’s Mr. Olympia physique looks like. Many of the fans of bodybuilding have been complaining for years that today’s top bodybuilders focus too much on extreme size but they don’t have the same level of conditioning and aesthetic shape that the bodybuilders of the 1990’s did. By returning to the stage, Kevin hopes to show the world what his version of a Mr. Olympia physique looks like. He is realistic that he will probably not win the Mr. Olympia but if he can stir things up and make an impression, he will have accomplished his very lofty goal. In order for Kevin to make the top six at the 2013 Mr. Olympia, he will have to build back the size he carried when he competed in the Mr. Olympia in the 1990’s to the early 2000’s. Kevin never won the Mr. Olympia but he took second in 1992 and 1995 to Dorian Yates and in 2000 and 2002 to Ronnie Coleman. His enormous arms and shoulders combined with his very aesthetic physique and excellent posing ability and showmanship on stage made him one of the most successful professional bodybuilders in history and also one of the most popular. Even at the age of 52, Kevin does not look any where near his age so that doesn’t seem to be a factor at all. According to his posts on social media, he has been training very heavy with high intensity so his body has held up during his time off. The success of his comeback revolves around his ability to build the same physique he competed with at the Olympia during his peak years. If he can pull this miracle off, the judges will award him with a top six placing. At 52 years old and coming back after a 13 year layoff, this will be a total and complete victory for Kevin Levrone. The world awaits your comeback! 5th Place – Dallas McCarver (picture above) – Dallas McCarver is the biggest rising star in the pro bodybuilding field. Still in his early 20’s, Dallas has continued to grow each year while still retaining a small waist and great shape. He looked amazing last year in his Mr. Olympia debut but was unfairly placed in 13th. This year, Dallas was bigger than ever and he easily won the Chicago Pro Show in July, securing his qualification for the 2016 Mr. Olympia. Dallas has all the tools to be Mr. Olympia. He is massive with great shape, tall, wide and proportioned. He is still working to develop his back to match with the best pro bodybuilders on the planet but with the improvements he has made and the positive buzz surrounding him, this should translate into a top five placing at this year’s Mr. Olympia. He will certainly be one of the biggest competitors onstage (along with Big Ramy and Roelly) but he has better shape and flow to his physique than they do. Look for Big Dallas McCarver to avenge his low placing from last year’s Mr. Olympia and place in the top five at this very competitive show. 4th Place – Cedric McMillan (picture above) – The favorite pro bodybuilder of the Old School Bodybuilding fans is Cedric McMillan. 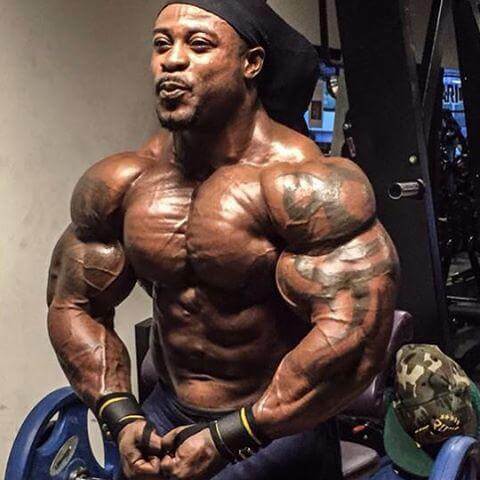 Cedric looks like a bigger version of Lee Haney, the most dominant bodybuilder of the 1980’s and an 8x Mr. Olympia winner. Cedric’s only criticism is that he is sometimes off condition and doesn’t show the same hardness or graininess that some of his pro competitors do. Many people in the bodybuilding industry (Lee Haney and Arnold Schwarzenegger among them) have mentioned Cedric as the type of physique that should be rewarded the top titles in bodybuilding because he has the qualities that define the ultimate bodybuilding physique – size, shape, symmetry and proportion. The current trend toward rewarding hardness over shape and aesthetics when judging a physique is one of the problems of the current bodybuilding scene according to many experts. Bodybuilding legends like Arnold want to see the sport of bodybuilding go back to rewarding more shapely and aesthetic physiques like Cedric to help bring back the type of bodybuilding physique that more people would be attracted to and want to look like. At the 2016 Arnold Classic, Cedric was finally recognized for his type of physique when he was leading after the prejudging. Although Cedric has won pro bodybuilding contests in the past, he had never conquered a big show like the Arnold or the Olympia. To be winning the Arnold Classic over top tiered bodybuilders like Kai Greene and Justin Compton was a big step up for him. Unfortunately for Cedric, he lost the posing round to Kai Greene and took a disappointing second place but the fact that he was regarded so highly by the judges at the Arnold Classic is a positive sign. Fans of the Old School Bodybuilding are keeping their fingers crossed that Cedric will continue to move up the competition ladder by placing in the top five at this year’s Mr. Olympia. He has all the tools to be a legitimate Mr. Olympia winner if the judges give him a fair look and he competes in top shape. Cedric is also working with top contest prep coach Chris Aceto and Chris has been promising all year that Cedric is going to surprise some people with his incredible condition. Hopefully, Chris is right and Cedric looks even better than at the 2016 Arnold Classic. Now, if only the Olympia judges will give him his due by rewarding his type of physique. 3rd Place – Shawn Rhoden (picture above) – Shawn Rhoden has been one of the top challengers for the Mr. Olympia title for the last few years. His combination of shape and size along with excellent muscularity and definition has set him apart from most of the Olympia contenders. Shawn has placed either third or fourth in the Mr. Olympia for the last four years. Last year, Shawn had a great opportunity to move up and possibly unseat Phil Heath from the Mr. Olympia crown. Phil was decidedly off his best at the prejudging on Friday night. Shawn, Dexter Jackson and Dennis Wolf were all in top shape with Shawn looking the best of the those top four competitors. Unfortunately, Rhoden was not aggressive enough in the comparisons and seemed too laid back during a very critical part of the competition. He was even completely relaxing in between poses at times. Many experts feel that Shawn could have pulled into first place at the Friday night prejudging ahead of Phil Heath if he had been more aggressive and hungry. Instead, Phil Heath managed to place first in the prejudging comparisons before coming back Saturday much improved and easily retaining the Mr. Olympia title. Going into this year, Shawn Rhoden has all the potential in the world to move to the top again. He has the physique that most competitors would die for. He just needs to come into the show in top condition again and, this year, show up onstage hungry and fight for the title just like Phil Heath does every year. It’s frustrating to see a competitor with the incredible physique of Rhoden lacking the fire and drive to win on the day that it counts. 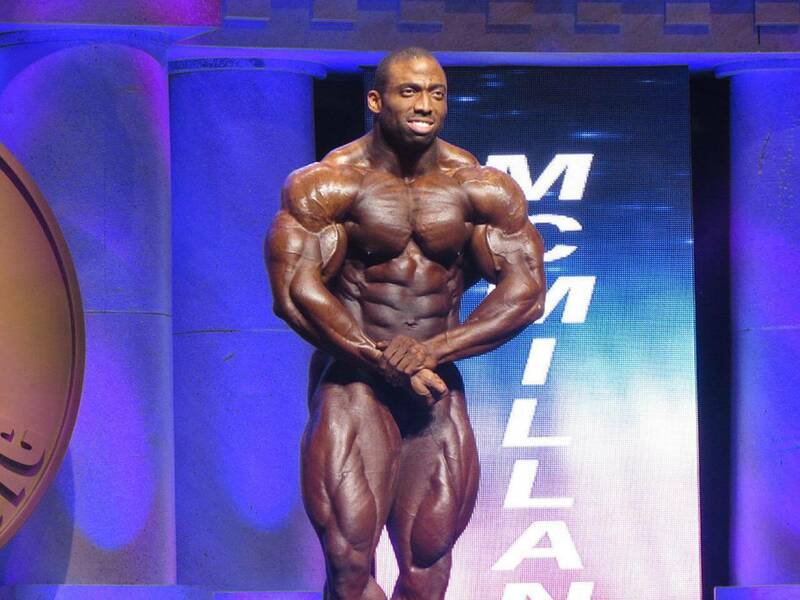 Maybe Shawn will take the criticism from last year to heart and compete at the Mr. Olympia this year to win! 2nd Place – Dexter Jackson (picture above) – Dexter shocked everyone last year by placing second at the Mr. Olympia. To his credit, Dexter realizes that he is at the tail end of his career and he is doing everything possible to try and win another Mr. Olympia title again before he retires. In 2015, Dexter was bigger than ever before and in his typical ripped condition. This year looks to be a repeat from last year. Dexter lives in California when he is in training for the Mr. Olympia. He trains every day at the famous Gold’s Gym in Venice under the expert eye of his trainer Charles Glass. They must have a formula that is working because Dexter has dramatically improved his physique over the last few years. Recently, Dexter guest posed at his own contest that he promotes in Jacksonville, Florida and he looked contest ready – big and hard. He brought in his rival Shawn Rhoden to guest pose with him and they appeared together onstage to the delight of the audience. 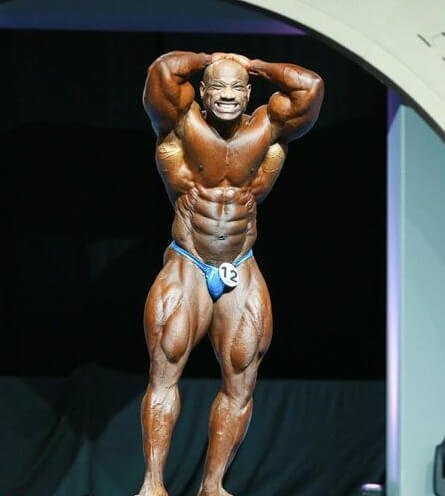 From the pictures and video from the contest, Dexter looks to be in the lead so it looks like he is headed for another runner-up spot at this year’s Mr. Olympia contest. 1st Place – Phil Heath (picture above) – The prediction for the winner of the 2016 Mr. Olympia contest is five time winner Phil Heath. When Phil won the title of Mr. Olympia from Jay Cutler in 2011, he looked in spectacular condition. For the first three years of his reign as Mr. Olympia, Phil was unbeatable. However, the last two years, Heath has proven to be very vulnerable. He always seems off his best on the Friday night prejudging but comes back on Saturday night remarkably improved. One of the reasons Phil Heath has been able to win the Mr. Olympia title year after year is that he has not faced a competitor who wants to win the title as much as he does. Kai Greene has physically challenged Phil over the last few Mr. Olympia contests but he seems to wither under the pressure and Heath manages to beat him each time. Without Kai to push him for the title, Phil should win his sixth Mr. Olympia without much competition. Dennis Wolf will most likely be sitting the year out and with no Kai Greene competing in the Olympia, Phil only has to beat Dexter Jackson and Shawn Rhoden to retain the title. Although both Dexter and Rhoden are very good, neither one has the physical attributes to beat Heath when he hits his peak. Of course, if some of the rising stars in the contest like Big Ramy, Cedric or Dallas McCarver come in peak shape and are hungry enough to knock out the champ, the 2016 Mr. Olympia could be very interesting. Throw in a Kevin Levrone who is out to shock the world and we might have a Mr. Olympia contest for the ages!